An interesting take on the attempts to rebrand Thamesmead with some good insights regarding the new housing. This is a video I took at the Thamesmead festival recently. It was originally broadcast live on Facebook. Are you interested in culture in Thamesmead? Do you have a secret creative talent from knitting to baking, or are you a creative professional with expertise to share? Do you have ideas for the future that you want to make happen, or are you passionate about Thamesmead’s history and want to celebrate this unique place? The Thamesmead Culture Forum is a monthly gathering where anyone interested in culture and history can come and share their work and ideas, contribute their expertise or local knowledge, and welcome others who want to contribute to culture in Thamesmead. There is already so much exciting and creative activity here, working together we can make it even bigger and better. At the forum we will discuss things like the Thamesmead Arts Festival, how to celebrate Thamesmead’s 50th anniversary in 2018, and how to share resources and develop ideas for future cultural projects. The forum will take place in a different community venue in Thamesmead each month. Anyone can attend and there is no need to book a place or RSVP, just turn up at 5pm on the following dates (always a Monday): March 13th, April 10th, May 15th, June 19th. Please also send this invite on to anyone else who you think my be interested in coming and we look forward to seeing you on the 13thMarch! I’ve stepped back from blogging over the past year or so, partially because my working life has been so busy, but also in part due to the glacial slowness of the progression around regenerating Thamesmead. Park View hub. The flats were completed long after their due date. Reports say that the residents within are happy enough now, but they underwent months of hardship while work was done to bring them to a finished state. The units below, though, are a joke. Brown’s Chemist has had problems getting a pharmacy license, so you can understand why they haven’t opened up, but the supermarket behind these units is supposed to be moving in, and has had a “coming soon” poster up for months on end, but they still, for the most part, sit there empty. Minutes from the local meetings constantly promise updates on the situation for attendees but they ultimately come down to “sorry, no answer available at this time” or “we’re now assured it’s going to happen any time now”. I haven’t been at a meeting in person for a while as I’ve had other commitments clashing with them, but they have turned rather tedious in the repetition. Work around Park View for residents. In April I wrote regarding literature through the door: “I was interested to read that you plan to paint the outside of homes in Holstein Way. I realise this is not for a while, but I am interested to know the extent of these plans. I am a home owner with a mortgage, living in Holstein Way. Will the proposal to paint homes include freeholders like myself?” I was told it would, and that the works should happen in August and I’d hear more soon. I’ve chased further and the last email I have was dated November, in which the query as to why nothing had happened was promptly replied to and I was told the relevant asset team would get back to me soon. Still waiting. The residents of Coralline and the rest of the area surrounding it may undergo compulsory purchase, but after a lot of noise in the first half of last year everything’s gone quiet pending an update in the new year. I am not holding my breathe. I suspect the pile of rubble next to the lake is going to be there for some time longer. Does this herald the coming of fresh new updates on the area on my part? I’m currently uncertain, but they say a new year is a good time for a fresh start, don’t they? Let’s se what happens. It has been a long time since I have written anything here. There has been a lot going on both in my life and in the neighbourhood. It is time to update you. We have had two South Thamesmead Forum meetings and I have lost count of the Regeneration Roadshows. It began with a walkabout through Hinksey Path . We highlighted the problems of bad lighting, fly tipping and lack of maintenance but these issues have been superseded by the latest regeneration proposals. Once at the Emmanuel Church the meeting started with an update about the Park View Hub because it had been noticed that most of the units are still empty. Peabody Regeneration are occupying some units so if you have any issues or questions to raise they are available during normal office hours. Taris (the convenience store currently on Limestone Walk) are fitting out their units, Brownes Chemist are ready but there is a problem with NHS England regarding the dispensing of prescriptions and the African shop will be moving in soon. For the vacant units Peabody want to find a community use, perhaps a Citizens Advice or some sort of one stop shop for advice. There were local issues about street lighting, housing and recycle bins discussed and these have been fed back to Bexley Council. Some good news about the crossing on Yarnton Way – the work started on 8 February and should be finished soon. A success for the forum. The meeting closed on a somber note when Alex Forester (from Trust Thamesmead) who has been responsible for the forums, the Community Voice and Environmental projects around Thamesmead, announced that he was leaving the next week. As yet he has not been replaced. The date of the meeting had been changed from 11 February and that may account for the low attendance. It may also be due to the regeneration and the abundance of roadshows held recently. Following Alex’s departure the responsibility for the Forums has passed to Peabody, hence the change of date. It may also mean that some people were missed when the invitations went out. It is to be expected that we spent quite awhile talking about regeneration and Paul Fowler took time to answer our questions and concerns. Peabody have taken the decision to consult on the demolition of the Hinksey Path and Wolvercote Road area because there is an opportunity to keep the community together by moving residents to Southmere Village (Tavy Bridge/Binsey Walk area). They stress at the moment it is only a proposal and if enough object during the consultation it will not go ahead. Approximately a third of the homes are owned by free/lease holders and about a half of those are private lets. Peabody are trying to find out about individual circumstances and requirements so that they can be rehoused if demolition is approved. At this point I will say that I know someone who has recently been rehomed from Evenlode House. She was opposed to the demolition and wanted to see out her life in her flat. During the process Peabody listened and went to great lengths to find a home that matched their needs. My friend now says she wishes she had moved years ago. I hope this is some reassurance to some but uncertainty is never easy. To help the process there are to be Independant Resident Advisors to be an impartial contact who will be able to deal with all matters, including legal advice. If required they will organise a public meeting. Peabody have also said the consultation period can be extended if necessary. Outside of the area pending demolition the rest of South Thamesmead will not be neglected. There will be no more homes demolished so the rest of the concrete stock will be retained. This is a question I have asked and had answered on more than one occasion and am now satisfied enough to put it in print. However, the wall along Yarnton Way will come down and possibly other redundant walkways and staircases. Residents in the towers along Kale Road will be pleased to know that the blocks will be refurbished and there will be new security, heating and windows. In the near future a ‘frequently asked questions’ letter will be sent to residents aiming to draw together questions asked at the road shows and give answers. There is also a website https://www.thamesmeadnow.org.uk/ that gives details about the proposals. The meeting opened with an update on the Lesnes to Crossness project by Tim Baker who is the Landscape Project Manager. Phase I is now complete and Phase II is underway. An initial plan has been created and it is due to finalised in the next couple of weeks. As you can see it will be the section along Abbey Way from Yarnton Way to Alsike Road. I must add that is only an initial draft but you can get an idea of how it should look. There will be three new access paths all disabled compliant. New children’s play areas in addition to the current one that will be refurbished with new play equipment. A question was asked about the segregation of the play areas because older and younger children were being given areas some distance from each other. This was felt not to be practical for some families and Mr Baker agreed to look for a solution. The police representative raised the issue of motor bike riders in the area and it was suggested that some preventative measures were taken to discourage them. This was agreed but the problem is to try not to clutter the area with too many gates etc. The aim is to start work in March 2016. Work will begin soon to take down the walls along Yarnton Way to open the area to the street. A new crossing will be created near the Medical Centre in November. The longer term aim is to remove a further two bridges but this cannot be done until surface crossings have been installed. – Peabody have moved into the Hub and aim to make it a contact point. – The Leaseholders have signed the contracts and will open when they have fitted out. Initial plans have been drawn and displayed at road shows. Further consultations will be held with the aim of finalising them in the new year before submitting to the planning department. I usually try to keep my opinions off of this blog but I must say I am not impressed. At the moment it looks like someone has put down a load of cereal boxes without a lot of thought. Proctor and Matthews who are one of the architects have some really good designs on their website but seem to be planning something plain and uninteresting. But it is still early days and not much detail was included on the drawings so it may get better. So I think it is very important we have our say now while we still can. It is no good waiting for the final stage and then complaining. If you can possibly get to a roadshow or consultation please do. As a result of the new format the forum now has a budget. This money is available for community projects to enhance the area. The plan is for forum members and any other interested parties to walk around the estate and identify what needs to be done. The walk will be around Hinksey Path sometime before the next meeting, which is on 10 December 2015. There are also plans to join up with other groups and share ideas. 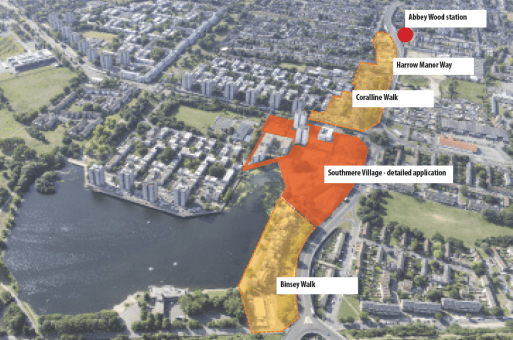 Peabody have arranged two public drop-in events with the South Thamesmead Design Team to present the initial plans for the Southmere Village (Formally Tavy Bridge and Binsey Walk) regeneration. 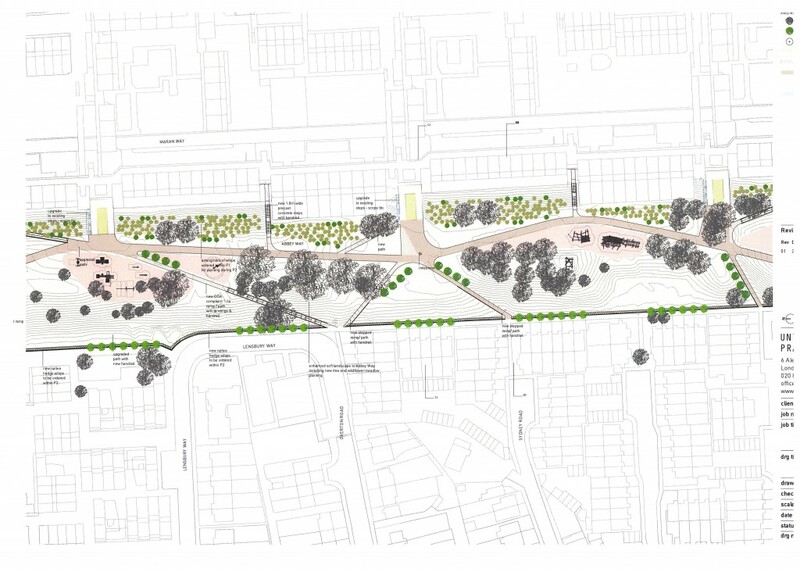 In addition to these initial designs for a detailed planning application they will present emerging proposals for outline planning application for future development of the remainder of Binsey Walk and along Harrow Manor Way towards Abbey Wood Station. 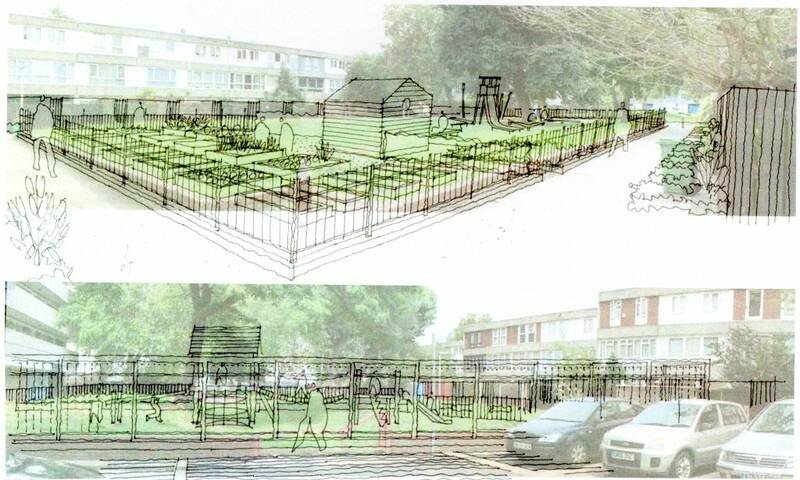 With further consultations planned prior to submission to Bexley Council in 2016. Contact Paul Fowler paul.fowler@peabody.org.uk or 0207 021 4150 for further information. A reminder that the next South Thamesmead Forum meeting is being held on Thursday 15th October. This is at the Emmanuel Baptist Church, Yarnton Way at 6.30pm. Do come along and bring a friend. Paul Fowler began the meeting with an update about current projects. Peabody accepted that there was a need for additional security after completion. The next stage Southmere to Lesnes Abbey will follow. The building is finished and the leaseholders now have keys to the units. – Peabody has two units that have fitted out and the regeneration team are moving in w/c 17 August. – Tari has three units undergoing fitting and will be a grocery store and café. The meeting was then handed over to Alex Forrester from Trust Thamesmead who explained that the trust would be co-ordinating all the forums in future. Each forum will be allocated a budget of £50,000 by Peabody to spend on forum projects. Alex is keen to devise an action plan and wants everyone to make suggestions for inclusion. For example it maybe dog fouling or fly tipping or even a neighbourhood get together. West Thamesmead Community Forum – 12 October 2015, 7pm Broadwater Village Hall. North Thamesmead Community Forum – 13 October 2015, 5pm Manor Close Community Centre. Central Thamesmead Community Forum – 14 October 2015, 5pm St Paul’s Church Bentham Road. South Thamesmead Community Forum – 15 October 2015, 6.30pm Emmanuel Baptist Church Yarnton Way. So why not attend you next meeting and share your thoughts and have input into the present and future of Thamesmead. The meeting continued with an introduction to some of the people working on the regeneration project. The decision to demolish Coralline Walk and Evenlode house has been agreed by the Peabody board. Out of 150 responses from the householders there were only 4 serious objections. It seems that with the arrival of Crossrail and the changes along Harrow Manorway most people recognise the need for change. The intention is to create a ‘High Street’ with homes, shops and entertainment. Peabody are now consulting with residents about their housing needs and will keep anyone who wishes to stay in South Thamesmead in the area. The Coralline Walk project is at the beginning of the process and will take several years to complete but progress has been made with the Southmere Village project on the demolished Tavy Bridge/Binsey Walk site. Proctor and Matthews and Mecanoo have been appointed as architects for the project. A representative of Proctor and Matthews showed us some examples of their work and outlined their vision. The buildings will be a mix of heights with frontages along all roads. Housing will have a mix of occupants with 50% affordable housing, a substantial amount of which will be social housing. The other 50% will be either outright sale or market rent. The intention is to have a square alongside the lake and to incorporate water into the design. Community buildings will include a new library, Pop In Parlour and Function Hall. A main street will traverse the development with shops to link in with the new high street along Harrow Manorway. However, all this is in its infancy and there are no plans on display. The next step will be a draft followed by a consultation in the next few months. The aim is for the planning application to be submitted early 2016 and work to begin mid-2016. So look out for the roadshows and invitations to events in the next few months and have you say.